1.4 Our website incorporates privacy controls which affect how we will process your personal data. By using the privacy controls, you can specify whether you would like to receive marketing communications and limit the publication of your information. You can access the privacy controls via coloryourwaytohappy.com. 1.5 In this policy, “we”, “us” and “our” refer to Color Your Way To Happy. For more information about us, see Section 13. 3.5 We may process your personal data that are provided in the course of the use of our services (“service data“). The service data may include your name and email address. The source of the service data is you or your employer. The service data may be processed for the purposes of operating our website, providing our services, ensuring the security of our website and services, maintaining back-ups of our databases and communicating with you. The legal basis for this processing is our legitimate interests, namely the proper administration of our website and business. 3.7 We may process information contained in any enquiry you submit to us regarding goods and/or services (“enquiry data“). The enquiry data may be processed for the purposes of offering, marketing and selling relevant goods and/or services to you. The legal basis for this processing is our legitimate interests, namely the proper administration of our website and business. 5.2 We and our other group companies have offices and facilities in United States and Australia. The European Commission has made an “adequacy decision” with respect to the data protection laws of each of these countries. Transfers to each of these countries will be protected by appropriate safeguards, namely the use of standard data protection clauses adopted or approved by the European Commission, a copy of which can be obtained from https://www.eugdpr.org/eugdpr.org.html. 5.3 The hosting facilities for our website are situated in United States and Australia. The European Commission has made an “adequacy decision” with respect to the data protection laws of each of these countries. Transfers to each of these countries will be protected by appropriate safeguards, namely the use of standard data protection clauses adopted or approved by the the European Commission, a copy of which can be obtained from https://www.eugdpr.org/eugdpr.org.html. 13.1 This website is owned and operated by Nerine Martin (Color Your Way To Happy). When you join my mailing list you'll receive a FREE PDF of 'Coloring for Mindfulness' coloring book. You'll also receive our Newsletter, where you will be notified of new coloring books, journals, planners and activity book releases, coloring and self help tips, new products and promotions, discounts and blog post alerts about coloring and self-help information related to stress, anxiety and depression. 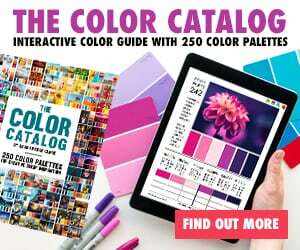 Get your copy of The Color Catalog here! Adult coloring books and coloring pages, digital coloring books and coloring pages, free coloring pages, journals, planners, notebooks and activity books.